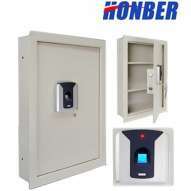 Biometric and Fingerprint Safes - Ningbo Honber Co., Ltd.
As a noted supplier of fingerprint safe in China, Ningbo Honber has earned trust from customers for offering quality security equipment. What’s more, we supply our clients with related products as well, including coffer, metal safe, and office safe. With both stringent quality management and up-to-date technology, we’ve become one of the leading manufacture of fingerprint safe in the field of house and work security. 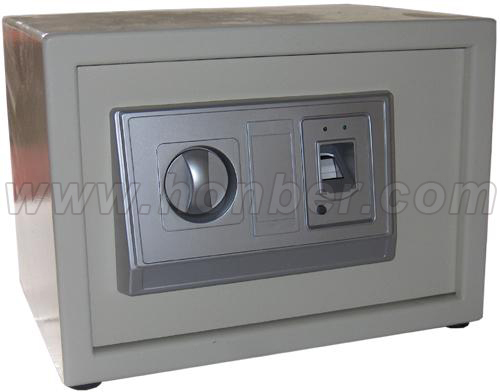 Ningbo Honber Industry & Trade Co., Ltd. is a highly-qualified fingerprint safe supplier and manufacturer of safes in China; it provides the functional products including combination safe, gun cabinet and etc. The product is installed with the scanning device to recognize the fingerprint for only specific person to open it. By a few minutes to finish setting the fingerprint safe and the scanning job, you will have the one-and-only access key. That's why it can provide you optimum security; no one has the same patterns with others meaning once you finish setting, it is ultra hard for anyone else to open it. To prevent the damage by manpower, the fingerprint safe is consisted of double locking bolts, seamless molding case with epoxy powder coating for high toughness. Besides, the device can be operated with little power and got low battery precaution. For keeping both privacy and safety, the product will be your best choice.